Coastal storms, hurricanes, tsunamis, and sea level rise are just a few examples of the hazards that affect coastlines worldwide. Areas vulnerable to these hazards have a critical need for both real-time and long-term water level information. 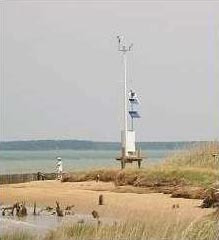 Water level stations comprising the National Water Level Observation Network (NWLON) provide real-time information for monitoring and measuring storm tides and tsunamis, in support of forecasting and emergency management decisions. By knowing the heights of evacuation routes and flood protection infrastructure relative to real-time storm tide levels, emergency managers can issue timely evacuation orders and make decisions that will save lives and property. 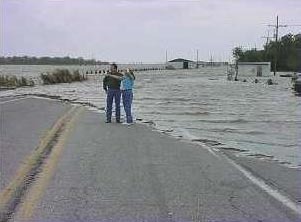 Likewise, the devastation caused by Hurricane Katrina was a stark reminder of the importance of knowing correct and accurate baseline tidal and geodetic datums for engineering and construction of storm surge barriers and levees. CO-OPS water level stations also provide critical observations for detecting and measuring tsunamis in order to improve forecast guidance. Long-term sea level trends at CO-OPS water level stations provide critical understanding of how sea levels are changing over time. This information is not only used by researchers and modelers to understand long term changes in the global climate, but is used by coastal and resource managers to make long-term planning decisions. Monitoring how the environment has changed over time provides important insight into how it will change in the future, a critical component of improving coastal resiliency. Coastal areas have intrinsic economic, cultural, and aesthetic value. Wetlands alone provide critical habitat, store pollutants and nutrients, and provide buffers to coastal communities from flooding, waves, and long-term changes in sea level. Coastal ecosystems are being lost at alarming rates due to natural and human causes, raising restoration as a national priority. 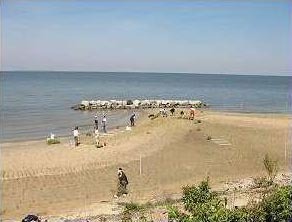 Sound coastal ecosystem management practices, including planning and monitoring of restoration sites, coastal engineering and development, and land-use planning, must be framed by a thorough understanding of the relationship between water levels, tidal datums, and geodetic, or land-based elevations. Both an accurate picture of the present scenario and informed projections of future trends are necessary to make decisions that will remain relevant into the future. Consideration must be given to both short-term and long-term factors, including relative sea level change, variability in inundation trends, and extreme events.